Compatible with Shark Rocket Series HV300, HV310, and HV320 vacuum cleaners. Comparable to parts XFFV300 & 1080FTV320. Kit includes 3 pieces for foam filter. 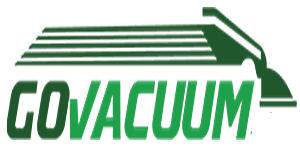 The Shark Rocket Foam and Felt Filter Replacement Kit from ZVac is designed for your convenience. Your Shark Rocket needs filter changes every 3 to 6 months to ensure it is giving you the best clean possible. Now, you can get all the high quality filters you need in one handy kit. This filter replacement kit is compatible with Sharks’ Rocket HV300, Rocket Deluxe HV310, and Rocket DeluxePro/True Pet HV320 Series vacuum cleaners. The replacement filters are comparable to Shark parts XFFV300 and 1080FTV320 for a fraction of the cost. The foam and felt replacement filters help improve air quality by trapping irritants such as dust, pollen, and pet dander. Additionally, every part meets OEM standards, is hypoallergenic, and is designed and developed in the USA.